On my first full day in Cartagena, I lose myself in spontaneous pleasures in the centro historico and Getsemani neighborhoods, only to find a bookstore, a rare street ready for rain, and one of the city’s most artful restaurants. 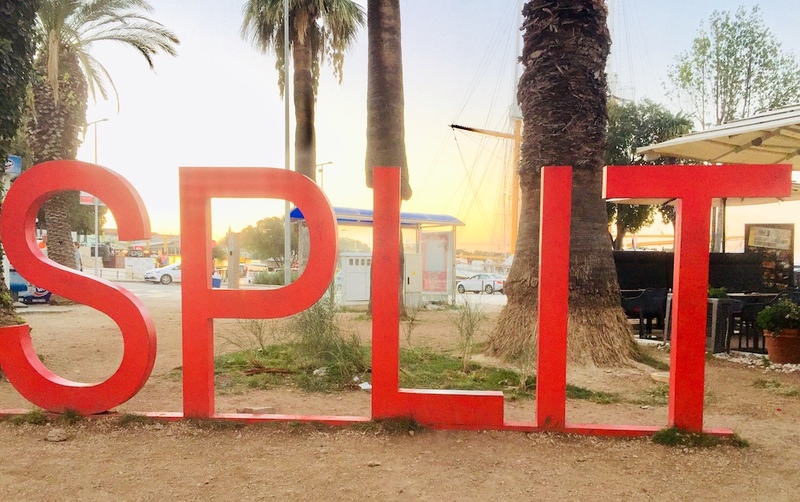 Split is a welcoming place for solo travelers. Explore Roman ruins in an atmospheric old town by the sea, eat delicious food, venture to nearby islands or the rugged countryside for memorable days trips, and more. You’re never far from adventure in Croatia’s second-largest city. Known as the “pearl of the Adriatic,” Dubrovnik lives up to its name with stunning seaside views, island jaunts, and kind hospitality. On Feb. 12, 1930, the Loew’s 175th Street Theatre opened in Manhattan amid the Great Depression. Despite the dire circumstances, this was the golden age of luxe movie palaces. Today the theatre is known as the United Palace, one of the last "wonder theatres” in all of New York City. You can tour this kitschy showstopper of 3,400 red velvet seats for only $10. I traveled through New York City to see fall foliage, taste Himalayan cuisine for the first time, and learn about Frankenstein. Autumn also included a trip to Croatia and the Czech Republic. An evening commute on foot turns into one of my favorite travel detours close to home in upper Manhattan. In 1843, Wave Hill House was built for William Lewis Morris. Back then, the Bronx was countryside and the city’s elite commissioned villas there to escape from the chaos of Manhattan below 14th Street. Today the house stands on land turned into a public garden with some of the best views of the Hudson River and the Palisades. Looking for things to do this weekend? Plan a trip to the Museum of the City of New York to see an exhibit of photos by a teenaged Stanley Kubrick before he scaled stardom as a film director. Pair your museum visit with time relaxing in Central Park's most elegant garden. For a sweet start or finish to your day, head to a nearby pastry shop, such as Silver Moon Bakery, and savor your food while people-watching at a sidewalk table. Escape from New York City without ever leaving this summer by traveling to Inwood, where urban cool meets hilly parkland. The Hudson and Harlem Rivers run through the area, making for some photogenic scenery. Check out arts events and a new culture pop-up, hiking trails and tours, and al fresco dining at neighborhood restaurants. Argentina’s capital is brimming with cultural experiences. Some of my favorites are the Museum of Latin American Art of Buenos Aires, El Ateneo Grand Splendid bookstore, and the Centro Cultural Kirchner. Escape the bustle of Argentina’s busy capital and stroll through the Carlos Thays Botanical Garden. With a new year upon us, you may be scrambling to make last-minute plans to ring in 2018. Why not design your own desserts crawl in New York City for family or friends? See the Parisian Woman on Broadway, take a class at the Painting Lounge, and tour the United Palace. The last 24 hours of a trip tend to be bittersweet. I like to make the most of them. On my last full day in Prague, I visited a botanical garden and saw the city's Parisian knockoff. A summer-like September day in Prague starts with seeing Czech art in the morning, sipping wine at an outdoor festival in the afternoon with family and friends, and ending on a Mediterranean note with Calabrian pasta and an Italian film in the evening. Visit South Moravia to explore the Lednice-Valtice Cultural Landscape and sample wines produced by the region's vineyards. Cross the Charles Bridge, take in the stained glass windows of St. Vitus Cathedral in the Castle Quarter, and explore Italian influences in the Little Quarter. My day of exploring Prague's New Town is one of ups and downs. It's off to a promising start as I take in the Dancing House designed by Frank Gehry. Later, a closed church and a few wrong turns lead to frustrations. My evening rebounds with a comedy show seen in good company at the Royal Theatre. The Alexander Hamilton U.S. Custom House, Battery Park, and Federal Hall are among the sites that are more than a century old in Lower Manhattan, and the reasons to visit them today are as abundant as ever. In the Old Town of the Czech Republic's capital, you'll find an Astronomical Clock, a Cubist building, and a Spanish Synagogue, among a mashup of architectural styles.